KUALA LUMPUR: The government has agreed to allocate RM6.23 billion into the Federal Land Development Authority (Felda) in stages through grants, loans and government guarantees as needed to sustain the authority’s future. The allocation announced by Economic Affairs Minister Datuk Seri Mohamed Azmin Ali during his tabling of the White Paper on Felda in Parliament today will give the development authority a needed injection of funds, following its poor financial position. The White Paper showed Felda’s liabilities as at December 31, 2017 totalled RM14.4 billion, of which RM12.1 billion or 84 per cent of total liabilities are due to the group’s debts to financial institutions. Non-current assets and current assets totalled RM25 billion in 2017. Debt after tax from 2007-2010 increased from RM1 billion to RM1.1 billion. 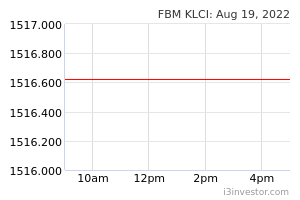 Following Felda Global Ventures’ (FGV) initial public offering (IPO) in 2012, Felda recorded losses from 2013 to 2017. Felda’s cash in 2011 was RM3.9 billion and in 2017, it was only RM0.4 billion. The main reason for the RM4.9 billion losses in 2017 was deterioration in revenue from the Land Lease Agreement (LLA), as well as non-strategic investments and corporate takeovers. 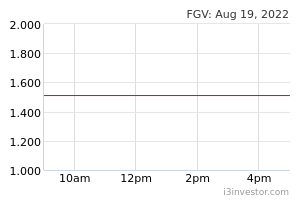 Investment impairments in FGV totaled RM2.1 billion. Fair value loss on the investment in PT Eagle High Plantations Tbk amounted to RM1.6 billion in 2017 and this included foreign exchange losses.